Welcome to Tram T Hall, DDS. We are a Private Dental Practice that provides gentle, compassionate, high quality care with a profound commitment to integrity and ethics. We offer a full spectrum of "State Of The Art" dental services on a highly personalized basis. We do so in a beautiful, calm, peaceful environment. Our goal is to provide you with outstanding service both in and out of our office. To help us achieve this we offer you the convenience of scheduling an appointment with us 24 hours a day 7 days a week. Simply click on Appointment Request and provide us with the information requested. We will respond to your request promptly. We realize your time is precious. So as part of our commitment to providing you with the highest level of care, we offer the unique ability to communicate directly with Dr. Hall. She welcomes any questions you have with complete confidentiality. She can be reached directly at DrHall@mytoothdoc.com and will provide a response to your question within 24 hours. We are confident your visit with us will be unlike anything you have ever experienced. So give us a call or simply send in an appointment request. 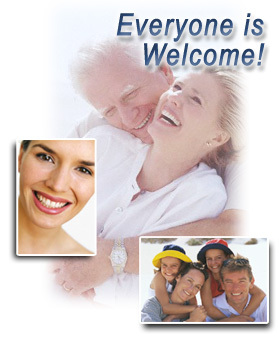 We look forward to providing you and your family with the kind of dental care you should have and deserve.